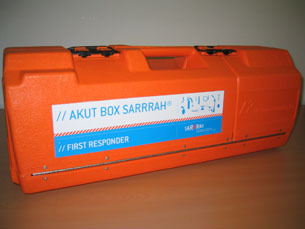 SARRRAH® wants to create a fully effective rescue service based on the early treatment and transport of hypothermia cases from the incident site to a suitably equipped hospital with prepared staff and to improve the survival rate of victims of accidents resulting in severe hypothermia. Improves the chance of survival after severe hypothermia at sea. Has transferable principles which can be applied to all victims of hypothermia. Will play an invaluable part in the world-wide understanding by rescue services of the treatment of accidental hypothermia leading to higher survival rates. 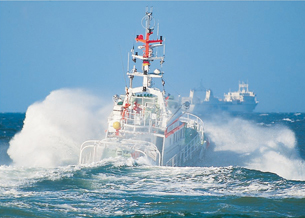 The project was devised at a medical workshop of the German Maritime Rescue Services (DGzRS) and it is being further developed at the Department of Anesthesiology and Intensive Care of the University Medical Center Schleswig-Holstein (UKSH) in Lübeck. The project partnership includes the German Instiute for Naval Medicine, the German Sea Rescue Service (DGzRS), hospitals on the North and Baltic Sea coasts and the Department of Forensic Medicine. SARRRAH® was initiated by the recognition that procedures for the rescue and medical treatment of victims of life-threatening hypothermia must be changed in order for survival rates to improve. The SARRRAH®-Project was funded by the Ministry of Internal Affairs of Schleswig-Holstein in Kiel, by the International Transport Workers' Federation (ITF): Seafarers' Trust, London and by German shipping companies. A basic fact is that people with hypothermia have a much better chance of successful resuscitation than critically ill people with normal body temperature, but only if the hypothermia is sufficiently taken into consideration throughout rescue and medical intervention. It is therefore necessary to establish clear and realistic procedures for emergency response, rescue and medical treatment based on up-to-date and proven knowledge. All organisations which participate in rescue at sea need to agree a strategy and establish a clear understanding of procedures in the course of their training programmes. Establishing new or modified procedures for rescue, transportation, resuscitation and monitoring of maritime accident victims, suitable for use even in extreme conditions and by both professional and amateur rescue personnel. Ensuring hospitals are capable and equipped to effectively treat cases of severe hypothermia. Informing all rescue co-ordination centres and doctors on call of their respective roles in emergency situations. Ensuring that co-ordinating medical professionals can make use of an established system and a certain number of special hospital wards in the case of a major incident involving victims of hypothermia. WHAT HAS SARRRAH® ACHIEVED SO FAR? Near the German coastline there are now ten tertiary care hospitals capable of the effective medical treatment of severe cases of hypothermia, covering the North and Baltic Sea area. Each is equipped for the specialised treatment of people suffering from severe hypothermia. A strategy has been agreed and participating individuals and organisations understand their specific role. 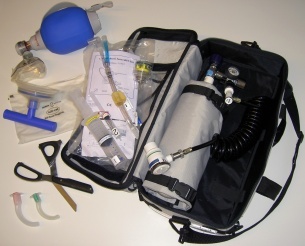 A new resuscitation kit has been distributed, which contains a collection of well researched, up-to-date, and sometimes modified items. Training in the use of this equipment has been provided. Training resources have been developed to include the presentation and written materials, practical demonstration kits and visual aids. Publicity materials have been produced and widely distributed. In Germany the UKSH in Lübeck has been the co-ordinator for records and collated all documentation and managed data.